Weston Super Mare is a great seaside resort with all the traditional seaside attractions, including the famous donkeys! Do you love to be beside the seaside....!?! 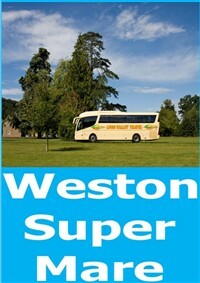 Why not enjoy a day out in popular Weston Super Mare. You may like to visit its' Grand Pier, newly redeveloped with its' arcade games and rides, plus restaurants and cafes. Perhaps the children may like to ride one of its famous donkeys along the beach or play on the beach. Adults can also visit the beach, plus the Winter Gardens or just go shopping in the town centre. 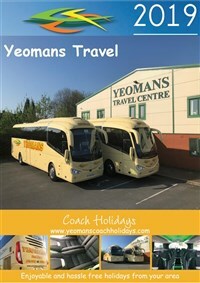 Join our coach and travel down to the coast and the seaside town of Weston Super Mare, where our driver will drop you off in the most convenient place he can in order for you to explore this popular seaside resort. Our driver will pick you up from Weston and make the journey back to your joining point. Estimated time of arrival back into Hereford is 18:30. 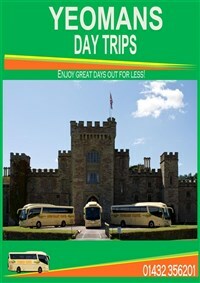 Time to explore Weston Super Mare and the attractions it has to offer.